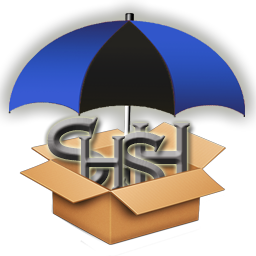 Just last week the developer of TinyUmbrella has updated the version of its tool to provide the option of saving iOS 5 beta 3 SHSH blob and now he has updated again its software to add the support of Apple’s recently released iOS 4.3.4 and iOS 4.2.9 for saving SHSH blobs. It is not necessary to update your iOS devices from iOS 4.3.3 to 4.3.4 because this update is only comes up with the fix of Safari exploit which currently uses by the comex released JailbreakMe to jailbreak iPad 2 and all other iOS devices running iOS 4.3.3, but if still anyone wants to go with iOS 4.3.4 and update their device, surely they will lose jailbreak state and also on iOS 4.3.4 there is only tethered jailbreak is available. It is highly recommend to iPad 2 owners to save their iOS 4.3.3 SHSH blobs because Apple has fixed the jailbreak hole in iOS 4.3.4 and if they update their device to latest iOS version without saving SHSH blobs than there will be no way to jailbreak their device. So it is recommended to users if they want to go on iOS 4.3.4 must save their iOS 4.3.3 SHSH blobs, because currently Apple is signing the SHSH blobs, once the window is closed than there will be no option to save SHSH blobs.